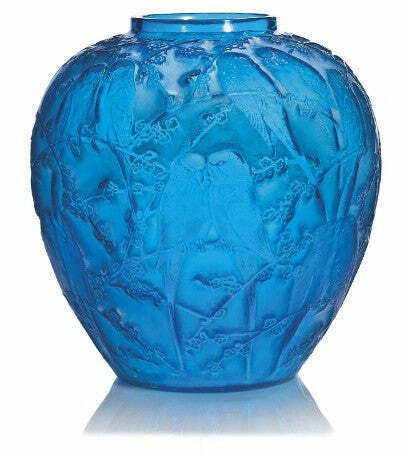 A blue perruches, or parakeets, vase circa 1919 is to lead a sale of the work of glassmaker Rene Lalique at Christie's on November 21 with an estimate of £25,000-30,000 ($40,500-48,600). A perruches vase in red is valued at £20,000-25,000 ($32,400-40,500), while a serpent vase - in the shape of a coiled snake - could make £20,000-30,000 ($32,400- 48,600). Work by Lalique consistently performs well at auction. The record for a piece of his glassware was set last year by a vase titled Deux Figures Femme Ailee. It achieved £280,000 ($451,248) at a UK auction. Why not sign up to our free weekly newsletter?